o we are in the world cup season. Every four years, the whole wide world is treated on a professional sporting spectacle that cannot be ignored. The very first time I consciously participated in following up with the intrigue of the world cup was the version of World Cup USA '94. I was in High School then. Back then, the Indomitable Lions of Cameroon made Africa so proud by reaching the Quarter Finals. It captured our imagination as a continent. Their preparation as unnoticed but their performance at the world stage was impeccable! 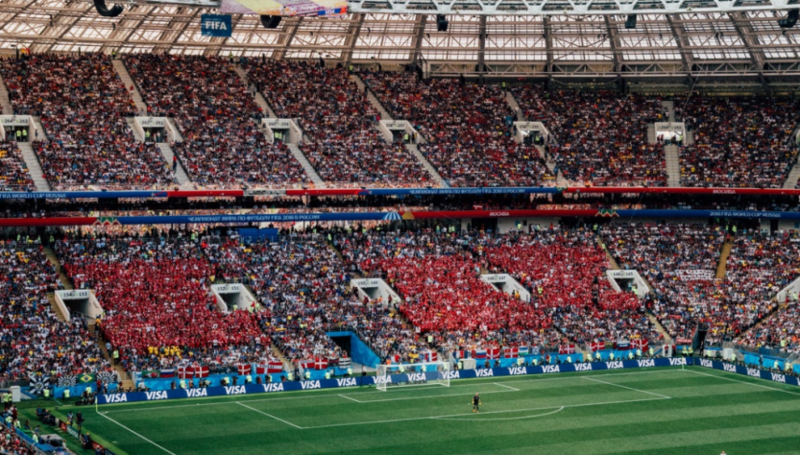 Just days before the world cup 2018 kicked off in Russia, FIFA, the soccer world governing body announced that the hosts for version 2026 of the same will be a joint bid by USA, Mexico and Canada. Immediately after the 2018 winner is announced, there will be fixtures for preparation for world cup version 2022 in the Middle East (we shall see how that will pan out). In other words, the world cup is like a peddling a bike. On one leg it is happening at the world stage, and on the other leg people are preparing for it. With the world cup, we are always in the preparation mode. So I think the biggest question that I need to ask myself is this: Where will the world cup version 2026 in the USA, Mexico and Canada find me? What will have happened in my life by then? Better yet: Where do I want it to find me? What am I going to make happen by 2026? Where do I want to watch the world cup from in 2026? All these questions lead to one answer: preparation. In 1994, I was in second year of High School when the world cup happened. In 1998, I was jobless trying to figure out the direction my life would take. I watched it from my father’s make shift one bedroom house in the outskirts of Nairobi. Black and white TV called Great Wall. In 2002, I was already two years working as a consultant earning less than $50 a month, in a job that I had stayed at for more than 5 years. I hated the job but was afraid to quit because I would be rendered “jobless”. Didn’t have TV to watch it. In 2006, I was still at this job that I hated. I was the most disillusioned man on earth, I think. I finally walked out of that job after sitting for an interview that I thought I would pass. I didn’t. Still didn’t have TV to watch it. In 2010, I was working as an expatriate consultant in Uganda. This was after one year working successfully as a data analyst in Kenya (too much to say no space). Had my own 21inch color TV in the house. Yaay! In 2014, I was working as an expatriate consultant in Ghana, after climbing the ladder from the Ugandan gig. Watched it from my own TV set using Digital TV technology. In 2018, I am working still as an expatriate consultant in Uganda, with other responsibilities of life coaching, ghost writing, and speaking. I am watching it from the comfort of my house with my wife and sometimes my kids. Did you realize that I have just documented for you my past 24 years of being an adult?? Did you realize that for the most part, those years were punctuated by struggle and obscurity, and the only beautiful parts are the last 8 years? I have a personal confession to make. I have been mostly a loser in the past 24 years of my life. And as I look at the progression of the world cups, one thing comes to the fore: I never was intentional, never had direction and never had any form of preparation for my life. Each succeeding year, teams prepare, pre-qualify and prepare once more to participate in the world cup. 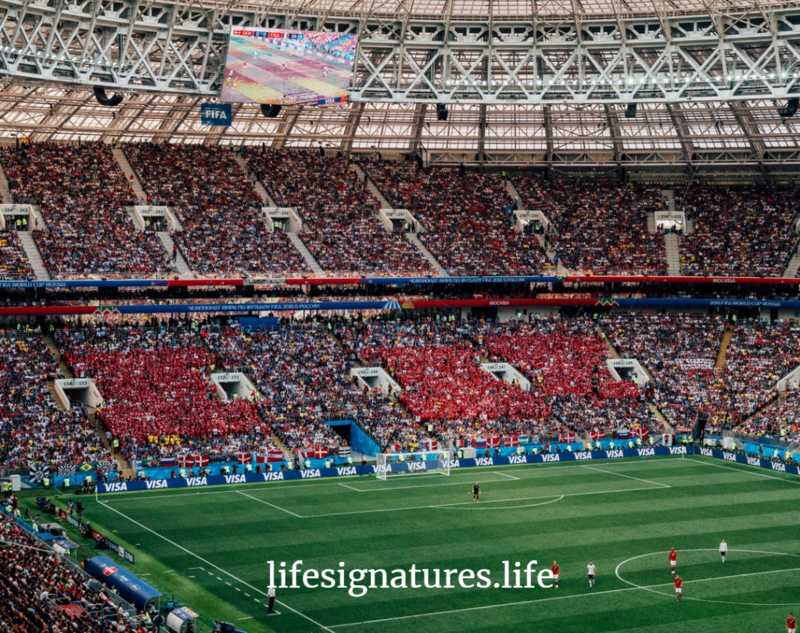 Whatever your opinion about the world cup, I can tell you that there is so much to learn from these professional athletes who are eking out a living for themselves. A host of them are making the world a better place with their investments from their work as footballers. However, there is no professional footballer worth their salt who lacked the quality of preparation. Talent is indeed overrated. The best there is of any sportsman of woman, they got to their greatness through thorough preparation and more preparation. There are very many analogies that you can get from sports that you can apply in life. In fact, as a Coach, I know that our coaching philosophy is derived from several fields including Adult Learning Theory, Neuro Linguistic Programming (NLP), Psychology, Philosophy, Spirituality, Business as well as Sports. How many times have you seen a motivational clip in spoken word that is punctuated with snap shots of sports men and women in their “preparation” phases of their lives? Do you feel motivated as I do whenever you watch the clips? Do you feel like you can also spend some time and energy and just work on one aspect of your life? Listen, world cup 2022 is coming. What I need you to do is to make sure that you are aware that you are not a loser by the time it does. How do you do that? Simple. Set a stake on the ground and start preparations for it. This year, all countries will kick of their preparations for world cup 2022. Kick of yours too. State what it is that you will want to do. For me, by the time world cup 2026 comes around, I will be an internationally sought after consultant on the message of Purpose, travelling the continents and teaching about a life of legacy. I will be worth over $1,000,000. Where Trust is Headed in the next Five Years?